Rocky Mountain National Park is located in Colorado and features majestic mountain views, mountain lakes, unique wildlife and diverse environments from wooded forests to mountain tundra. The park has over 350 miles of trails, including Trail Ridge Road, the highest paved road in the U.S. There are activities for all kinds of travelers within the park and a lively downtown area full of shops and restaurants. President Woodrow Wilson signed the park into law on January 25th, 1915, but humans had been walking the land long before then. There is evidence of human occupation from 10,000 years ago in a range of places from the highest peaks to the lowest valleys. Fun Historical Fact: Rocky Mountain National Park licensed the nation's first female nature guides in 1917! Sisters Elizabeth and Esther Burnell both passed an examination to become nature teachers in 1917 and became licensed nature guides for the park shortly after. Elizabeth Burnell was the first woman guide on Long's Peak, the park's highest mountain. During the Great Depression era of the 1930s, millions of Americans were unemployed. President Franklin Roosevelt helped create programs to put more people to work, one of which was the Civilian Conservation Corps. Through this program, young male recruits at six camps in the park built roads, trails, and buildings. They also put out wildfires, planted trees, and managed predators. It was during this time when Trail Ridge Road was built. Unlike other national parks like Yellowstone, Glacier, and Grand Canyon that were accessible by railway, a railroad never served Rocky Mountain. Visitors came to Rocky Mountain by car. Trail Ridge Road was professionally designed and built by the Civilian Conservation Corps and now serves as a park landmark to this day. Park maintenance and conservation fluctuated after the 1930s as park staff had to accommodate growing numbers of visitors. In 1966, the Rocky Mountain visitor center was established as a centralized facility where visitors could talk with rangers and get oriented to the park. Today, a wide range of staff manages Rocky Mountain National Park including rangers, carpenters, mechanics, engineers, biologists and volunteers. Scenic Drives: Old Fall River Road and Trail Ridge Road are two beautiful drives that take visitors through a variety of landscapes including meadows and forests and high altitude terrain. With some sections rising over 12,000 feet in elevation, these roads provide drivers with stunning views of the park. 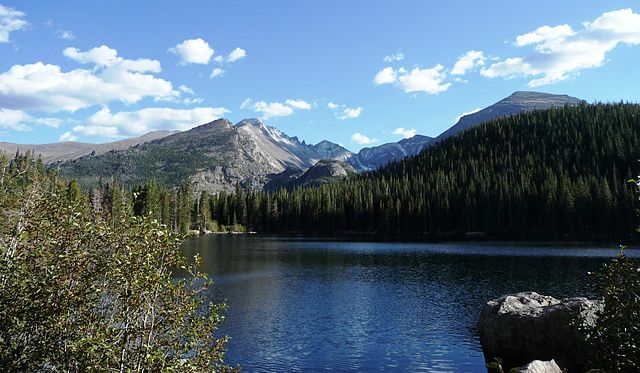 Day Hiking: Hiking in Rocky Mountain National Park is easily accessible and thrilling. There are many day hike options available that take hikers through forests, over rivers and past waterfalls. Check out the Top 10 Hikes in the park for more information. Camping: For those looking to take the park experience to another level of adventure, consider skipping the hotel and camping in the park! Here is a list of popular campgrounds in the park. Horseback Riding: Horseback riding is another way to experience the trail greatness of Rocky Mountain. Guided horseback rides can last anywhere from a couple hours to a whole day trip. For more information on horseback riding in the park, click here. 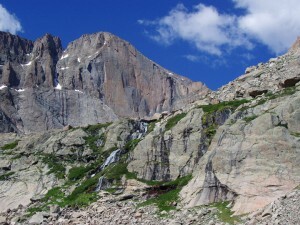 Estes Park is considered the base camp of Rocky Mountain National Park. You can stay, eat, and shop in Estes Park. It serves as a relaxing getaway destination when you need a break from the wilderness of Rocky Mountain. Check out the Original Visitor Guide of Estes Park for more information. Secrets of Rocky Mountain National Park from Emmy award winning documentary director and producer, Ken Burns. Signe Knutson worked as an InterExchange Career Training USA Participant Services Coordinator from 2013 until 2016, after spending a year teaching English in China's Hunan province. She has a BA in Asian Studies and Political Science form St. Olaf College in Minnesota.